Cargo Trailers of All Sizes For Sale! Dear John Trailer Rentals provides office and storage solutions that allow you to focus on your core business. Whether you’re expanding, relocating, or temporarily augmenting your existing offices and construction work sites, we’ve got you covered. Call Dear John today to learn how our temporary office solutions can help you manage your staff, equipment, and job site now and in the future. Make your project site complete with the workspace and facilities onsite to keep your crew happy. 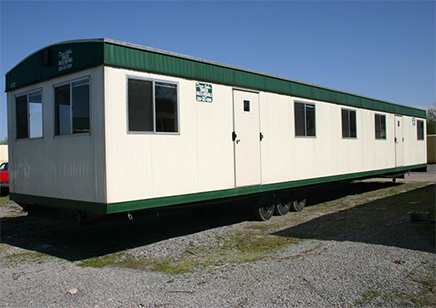 Dear John Trailer Rentals has what you need to meet the demands at commercial construction sites. Choose from a variety of mobile offices or custom configure a standard plan to meet your specifications. We provide delivery, setup, and pick up so you can maintain a seamless operation. 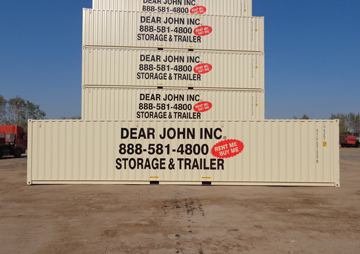 Dear John Trailer Rentals provides shipping containers to hold inventory and building supplies. We offer shipping containers to be used for storage—a strategy that has enhanced the way businesses operate. This solution is both convenient and mobile, making shipping containers an attractive option. We work with customers across a range of industries and sizes, specializing in construction. View Our Specials! Get a Free Quote Now!